Forest Bathing: What is it, and how can it help me? Imagine yourself in the heart of a forest. You can hear the sound of leaves rustling in the wind. You can hear birds chirping above you. As you look down, you notice the soil and can smell its earthy richness. As you look up, you notice the light carefully sifting through the trees and landing softly on the ground below you. When was the last time you felt the calming effects of nature? Unfortunately, many of us don’t spend as much time outdoors as we need to, and it’s hurting out health. 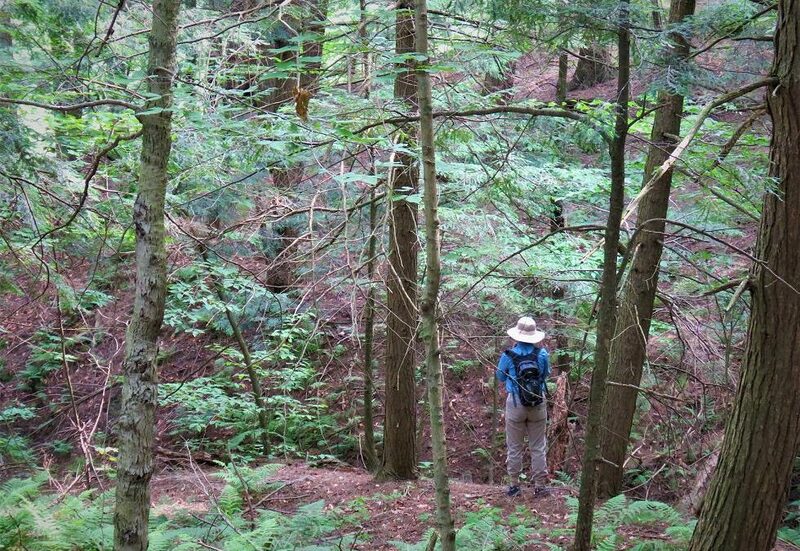 The practice of immersing yourself in nature comes from the Japanese practice Shinrin-yoku, or Forest Bathing. No, it’s not that kind of bathing! Spending time in nature has been proven to boost the immune system, reduce blood pressure, and improve ones ability to focus. Want to feel more relaxed? Forest Bathing can also reduce stress and increase your energy – and with multiple sessions can even improve sleep! 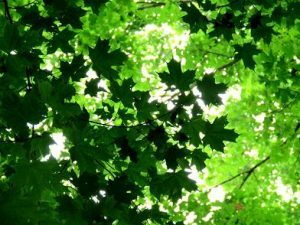 Interested in a free, upcoming Forest Bathing session? Email us at landtrust@oakridgesmoraine.org.